Contact Dr. Energy Saver™ for our comprehensive home energy checkup, covering the 10 Vital Signs of your home's energy efficiency. We'll show you the best way to save energy in your home, what you should do first, why you should do it first, and how much you'll save! 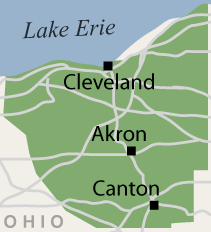 We serve Ohio including Cuyahoga, Lorain, Lake, Medina, Summit, Portage, Geauga Counties and nearby areas. Contact Dr. Energy Saver™ today to schedule your home energy services estimate!